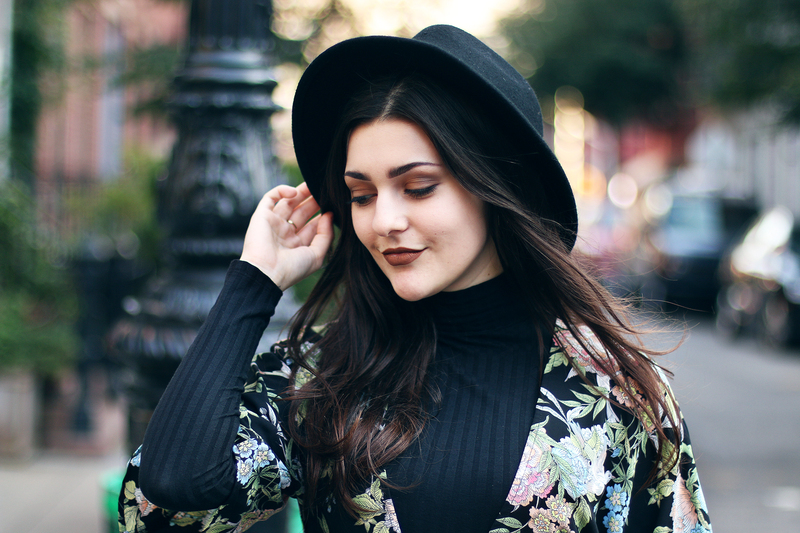 #CollegeFashionWeek + Primark Fall Must-Haves! This post is sponsored by Primark and Her Campus Media. All opinions are my own. Thank you for supporting the brands that make A Walk in the Park possible! 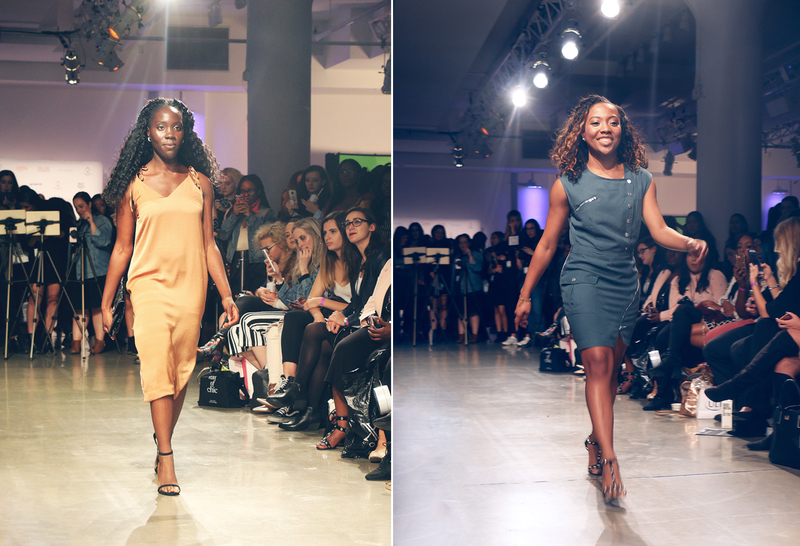 Recently I had the pleasure of attending Her Campus' annual College Fashion Week here in NYC! 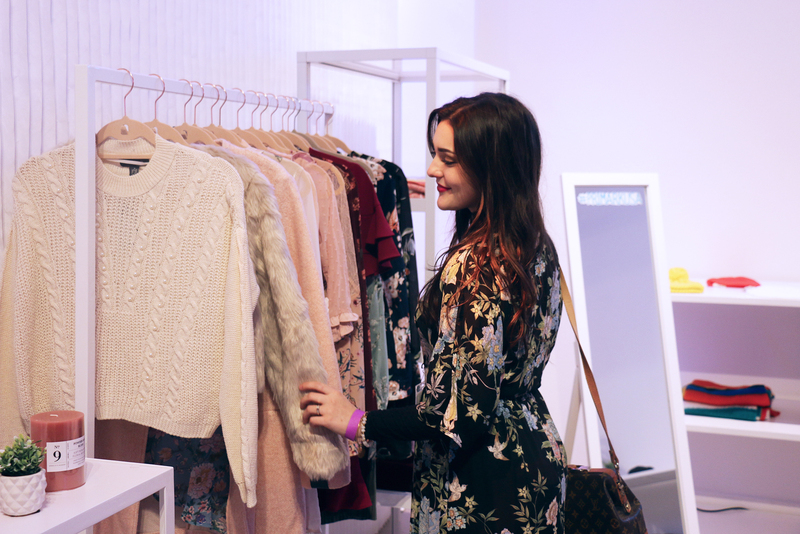 It was such a wonderful night filled with many other fabulous bloggers, some of my favorite brands, and of course an amazing fashion show put on with many popular clothing brands. There are so many reasons why I had such a wonderful time, but most importantly, I loved how real this event was. The brands in the fashion show were Primark, Chaser, Avec Les Filles, and Vici. These brands truly are the perfect price point for college students and the models were real girls who looked absolutely radiant in all of the clothes! I got to bring my fiance along to see his first fashion show and even he was impressed. We had such a great time snacking on amazing treats, connecting with the other brands and bloggers, and watching the amazing show. The fun lasted all the way until I got home and took a peek inside my goodie bag, because it was hands down the most epic goodie bag ever! Check out the highlights for #CFW here! 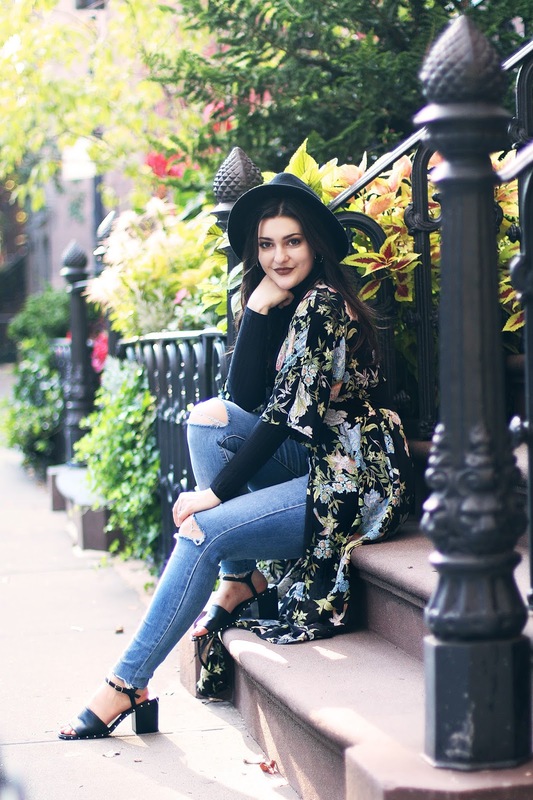 For College Fashion Week I teamed up with Primark to style some of my own fall college looks. Here are some photos of the two looks I styled, and you can easily and affordably style some of your own, so make sure you check out their new arrivals! For my first look, I took some navy culottes with a ring zipper detail and paired it with a sheer floral top! It was an easy look with a modern appeal, and I paired it with my grommet oxfords and a choker to add some edge. My second look, the one I wore to the show, was a few super simple pieces which layered together so nicely to create a comfy yet eye-catching outfit! 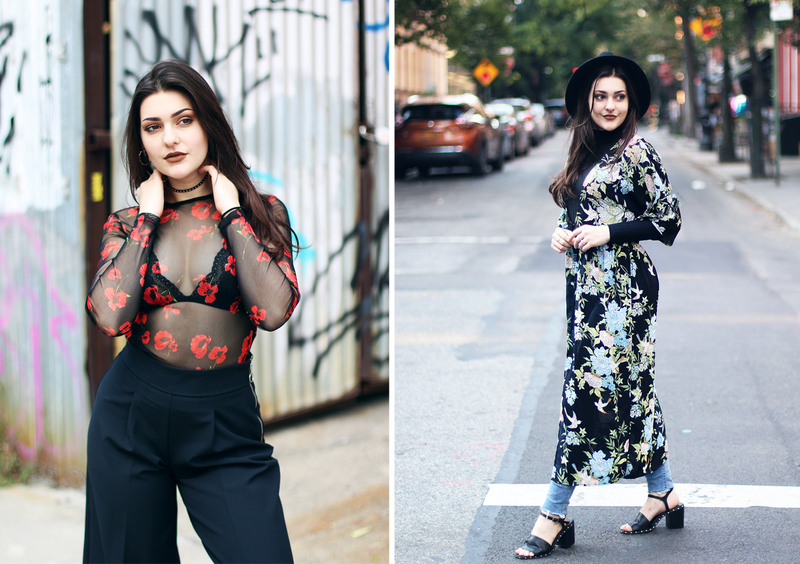 I wore a black ribbed bodysuit, a floral kimono, my light wash jeans, and some over-the-knee boots! 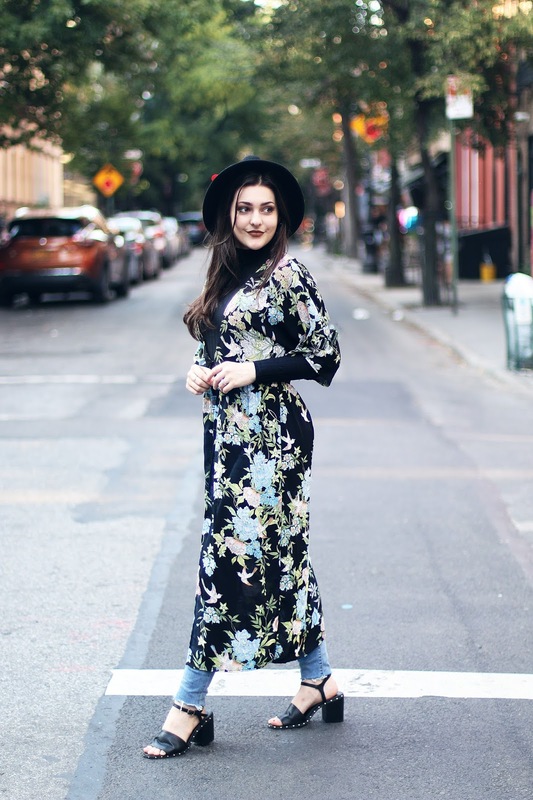 It was a light, feminine look with lots of movement created through the kimono. These looks were so easy to create and the pieces were all so inexpensive but yet such great quality! I love finally having access to a Primark here in the city, and it's definitely worth the trip to Staten Island to go visit it!